Humpback whales head to Madagascar and pass the coast of Knysna, Noetzie & Plettenberg Bay usually from June through to November. Peak times for whale watching in South Africa occur when the Southern Right whales are breeding around July and August. Mothers and calves can be seen in September and right up until October, when they head down south to feed, in the waters of Antarctica. If whale watching boat trips on rough seas are not for you however, the next best thing is to get away from the tourists and watch whales from the privacy of your own home. Stay in one of our seafront accommodation holiday rentals located so close to the action that you will literally be watching wales from your very own pool deck, bedroom or even bathtub! Many of our exclusive self-catering villas deliver these amazing experiences. Blue Horizon (Knysna) and Home By The Beach, Home By The Sea and Beachscape (Keurbooms beach, Plettenberg Bay) offer amazing ocean views from their respective master bedrooms and pool decks so that you can wake up in style, draw back the curtains and greet the day with a good chance of a phenomenal whale sighting! Villa Seaview (Knysna), hangs onto the cliff edge elevated above the ocean with the waves pounding beneath and a beautiful big bathtub perfectly angled for uninterrupted ocean views so you don’t need to do a thing or even join other tourists. Simply marvel at these wonderful creatures from the very comforts of your own home. Now that’s novel! Arm yourself with a good pair of binoculars (some of our houses supply these), grab a sandwich and simply sit and wait. For the more active, a hike around the famous Robberg Peninsula is highly popular where whales and dolphins, seals and even sharks are regularly spotted from the tops of the cliffs. Seeing whales on foot is highly rewarding; it’s a completely different experience to seeing these majestic mammals from a boat. The Robberg Peninsula for whale watching is only 15 minutes drive from our Keurbooms houses, even less from our Plett Central houses and about 40 minutes from our Knysna houses. A 2km walk to ‘The Gap’ and back to the car park. A 4km walk to The Witsand sand dune and down to The Island and back. An 11km round trip via The Point – this takes 4 hrs (or more) and is not recommended for young children. If you’d like a more close-up experience, it’s best to take a chartered boat trip. Bryde’s Whales – which travel up and down the coast throughout the year – are often spotted from these tours. Ocean Blue Adventures (Plettenberg Bay) and Knysna Springtide Charters are two local companies offering whale watching tours. Rates (at the time of writing) range from: children (R400.00) and adults (R750.00) for a one and a half hour trip. There are also full lunch cruises around the bay (R780 per person – R1400 per person dependant on duration). 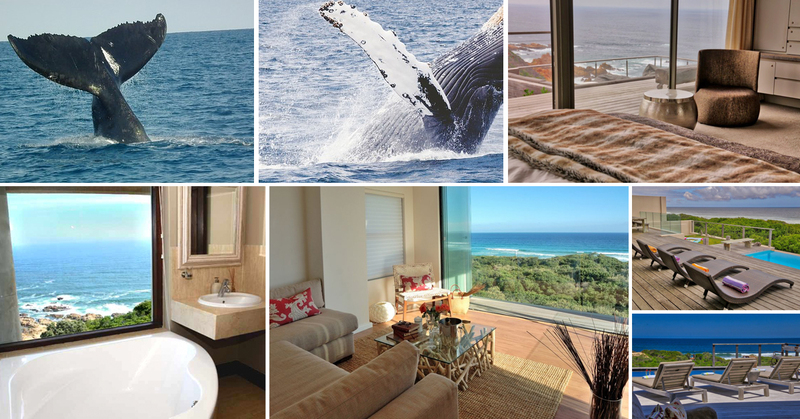 By staying in one of these sensational seafront holiday homes this whale season, you will be able to wake up to the sight of whales most mornings. You can’t beat that! Book before November for whale watching and come to see these magnificent creatures – a once in a lifetime experience!